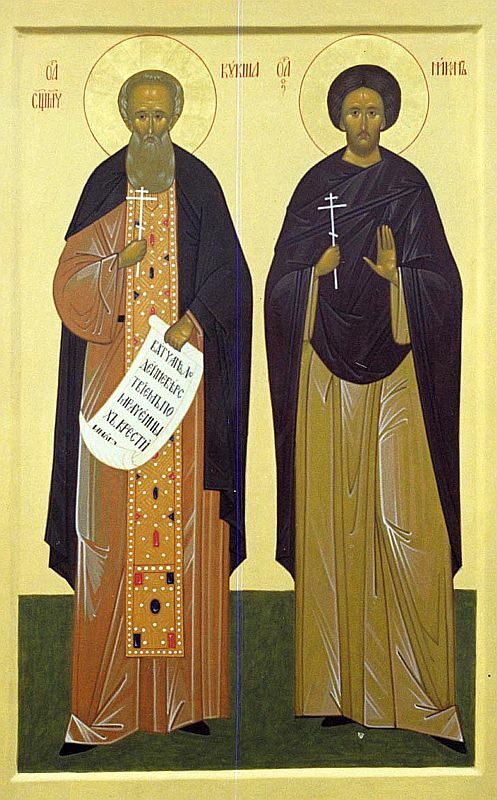 The Hieromartyr Kuksha and Saint Pimen the Faster died after the year 1114. 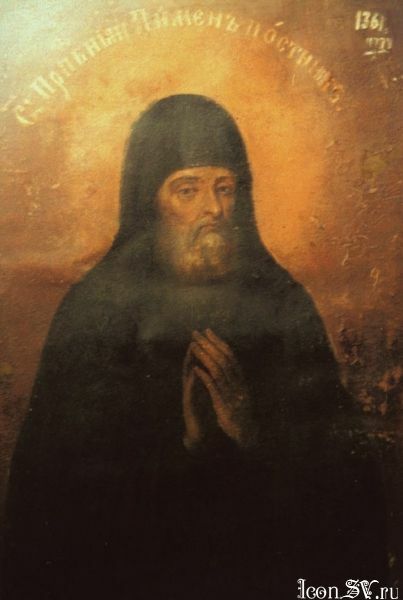 St Simon, Bishop of Vladimir and Suzdal (May 10), in a letter to St Polycarp, Archimandrite of the Caves (July 24), wrote of St Kuksha: "How can I worthily proclaim the glory of those saintly men dwelling in the holy Monastery of the Caves, in which pagans were baptized and became monks, and Jews accepted the holy Faith? But I cannot keep silent about the holy hieromartyr and Black-Robed Kuksha of this monastery. Everyone knows that he cast out devils, baptized the Vyatichi, caused it to rain, dried up a lake, performed many other miracles, and after many torments was killed together with his disciple Nikon." The death of the hieromartyr Kuksha was revealed to St Pimen the Faster. Standing in the church of the Monastery of the Caves, he loudly exclaimed, "Our brother Kuksha was killed today for the Gospel." After saying this, he also surrendered his soul to God. The Vyatichi, among whom the hieromartyr Kuksha preached and died, were pagans living along the River Oka, and they occupied the area of the Orlov and Kaluga districts. St Nestor the Chronicler (October 27), writing about the Vyatichi, was shocked by their brutal customs and he added that they live "only for the present day," remaining unacquainted with the Law of God, and making their own law instead. The Hieromartyr Kuksha preached to the Vyatichi during the era of St Theoctistus, Bishop of Chernigov (August 5). He was buried, as was St Pimen the Faster, in the Near Caves. The Monks of the Near Caves are commemorated on September 28.